MOVE-IN READY! BUILDER & LENDER INCENTIVES AVAILABLE - Welcome to Sheffield Homes where Quality & Amazing Finishes are Top of Mind! 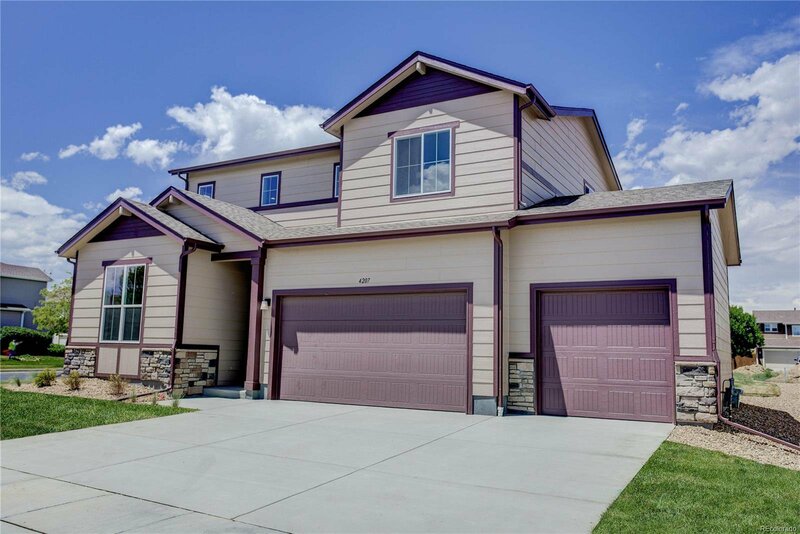 This Beautifully appointed 2-Story Home with 4 Beds & 3 Baths & a Large Upper Level Laundry Room. One Bed & one Bath is located on the Main Floor. You'll love this Open Floor Plan w/High Ceilings & Gorgeous Great Room that flows beautifully with the Kitchen. The Gorgeous Kitchen w/Center Island has Rich Kitchen Cabinetry, Granite Counters, Designer Backsplash, Whirlpool SS Appliances with a Range/Oven, Microwave Oven, Dishwasher & Under Mount Sink that flows beautifully with the Great Room & Dining Area & right out to the backyard. The upper level Master Suite has a large Walk-In Closet, Designer Bathroom with Double-Sink Vanity, Large Tub & Separate Shower. There are also 2 Beds & a Jack-n-Jill Bath & Laundry Room upstairs. This Home has Stunning Curb Appeal w/Stone Accents plus a 4-Car Tandem Garage & Partial Unfinished Basement.